For athletes an injury/illness, change in coach or retirement from their sport may feel like a traumatic event. 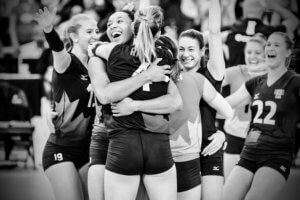 There are three factors in which the athlete has the potential to go off the grid from their usual support systems: teammates, coaches, athletic trainers or strength coaches. However, we must be aware that we haven’t left them stuck on the sidelines. As a result of this stressful time, the incidence of disordered eating or eating disorder behaviors has the potential to increase. These athletes provide insight into how as professionals we may be able to bring about awareness and interventions. Athletes tend to panic at the fact that their activity level is diminished. Due to the injury they significantly reduce their usual intake leading to poor healing and increased disordered eating. They may also use their dedication to eating “healthy”, exercise beyond physical therapy or decrease their body weight. Pain can also impact the risk of disordered eating diminishing the athlete’s appetite. Compare behaviors before the injury. If there have been changes don’t hesitate to ask why. Encourage the athlete to participate as part of the team so they avoid isolation. Echo the importance of nourishment & rest so they can fully heal to return to sport & team. Coaches are such a profound part of an athlete’s life similar to a family member. The athlete may feel a sense of mourning if they were really close to the previous coach. In a college setting the athlete may feel isolated from athletes that the coach has recruited. This may also lead to an increased pressure to impress the coach at all costs. Make an effort to get to know your athletes and assure them they will be treated equally. If the previous staff is still present find the time to learn more about your new players and how to relate to them. For parents encourage their athlete to work on skills around change and that everyone on the team likely feels the same. For an athlete that has been in sports most of their life, this can be a frightening time and even feel like a loss. Many athletes have reported similar feelings of grief and turn to familiar comforts such as control of food or exercising to a point of exhaustion. Keep the discussion open through their whole career about what kind of person they are outside of sport. What would they do if their days & weeks were not centered around the sport? Normalize for the athlete how tough this can be and that you will be there for them and help them find resources is needed. When the door is left open it leaves the opportunity for that athlete to feel in a safe place. Help is asked and provided. Find more tips on staying fueled by downloading my free guide here!